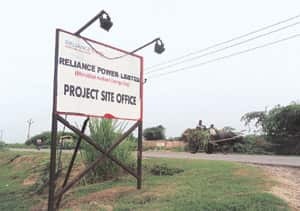 Mumbai: The Anil Ambani-controlled Reliance-Anil Dhirubhai Ambani Group (R-Adag) seems to be planning a coal-fired power plant at Dadri in Uttar Pradesh, next to the proposed gas-fired plant at the heart of the gas dispute between the warring Ambani brothers. The company strenuously denied any such proposal existed. The plan was confirmed by the UP Pollution Control Board, whose environmental approval is mandatory. The company submitted its environmental impact assessment (EIA) report for the 1,320MW plant in December 2007, C.S. Bhatt, member secretary on the UP Pollution Control Board, said over phone. “The NoC (no-objection certificate) for Reliance’s coal-based plant in Dadri is still pending," he said. Apart from this, Mint reviewed the copy of a letter from the Union ministry of environment and forests to R-Adag, prescribing the terms of reference for such an EIA report on the 1,320MW coal-based plant, indicating that a proposal regarding the unit had been made to the Centre at some point. Mint has also seen a recent presentation by Reliance Infrastructure’s adviser on environment issues, Murari Lal, that includes the project among Reliance Power’s proposed units. Reliance Power blamed misinformation by the Mukesh Ambani-led Reliance Industries Ltd (RIL) aimed at deflecting criticism over the gas dispute. RIL’s external spokesman Manoj Warrier dismissed Reliance Power’s comments against it as “completely baseless and malicious", in an email response and declined to offer any further elaboration. Three R-Adag insiders confirmed that the thermal unit was being planned and also apprised Mint of its progress. The Ambani brothers have been locked in a row over the gas-fired 7,480MW Dadri power plant, with Reliance Natural Resources Ltd (RNRL) demanding 28 million standard cu. m per day of gas from RIL’s Krishna-Godavari D6 fields for 17 years at a rate 44% lower than the government-mandated price, rooting its claims in a 2005 family demerger pact between the brothers. RIL has said it cannot supply gas to the Dadri plant unless the government allows it to do so. The gas-fired plant at Dadri has been stuck, with RNRL claiming that RIL’s refusal to provide a guarantee on feedstock has frustrated project financing efforts. The Supreme Court will hear arguments on the case from 20 October. It’s not clear whether the proposed coal-based thermal plant is a Plan B or meant to be a supplementary unit aimed at better utilization of land and other infrastructure. One of the officials familiar with the situation said the proposal has got bogged down at the pollution board. “The work on the coal-based plant is at a standstill. It is stuck at the environment clearance stage. The gas-based one has received environment clearance, but there (the) gas supply is uncertain," said a Reliance Power executive, based at the company’s regional office in Noida, who did not want to be quoted as he is not authorized to speak to media. The coal-based plant was counted among Reliance Power’s projects as recently as March by Lal, RIL’s environment adviser, in a presentation he made at a workshop organized by the Centre for Clean Air Policy, a global think tank on climate change. Lal declined to comment on his presentation when Mint tried to speak to him over phone on the Dadri project. Reliance Power, currently developing 16 large and medium projects with an installed capacity of 33,480MW, has not made any reference to the proposal in regulatory filings. A Reliance Power executive said that having two plants based on different fuels was a way of hedging bets. “If you already have the land, infrastructure and all the resources, then why not optimize their use? Gas supply was in the doldrums then and is so even now... So how will we scale up in that case? We thought we will put (up) a smaller thermal plant on the side," he said. The EIA report submitted to the state government, which has been reviewed by Mint, contains some of the details. “The total land requirement...is 424 acres (out of a sanctioned area of 2,471 acres) primarily for the project-specific units such as boiler, turbine and generator block, switch yard, coal handling plant, ash handling plant and cooling tower," it said, adding that the “land for the proposed coal-based thermal power plant has been identified at the north-western side of the gas-based power plant site". One Mumbai-based analyst with a domestic brokerage found the land requirement inadequate for a 1,320MW plant, which he said was “not a small plant at all". Another analyst, also in a domestic brokerage, said he remembered the project being mentioned in interactions with Reliance Power during its public listing, but said he was more keen on seeing the projects that are publicly known start functioning. The report to the Uttar Pradesh government, in part, answers the doubt raised by the first analyst. “Other facilities, including green belt, water storage, township...central common facilities, etc. would be accommodated in the common infrastructure along with the gas-based combined cycle power plant project"—shared facilities that roughly save 500 acres, it said. Reliance Power, which doesn’t generate any electricity yet, raised a record Rs11,560 crore in January 2008, and has pledged to set up 33,480MW of capacity to capitalize on the country’s power shortage. The company hopes to start curbing India’s power deficit when it implements 16 large and medium-sized power projects—using hydel resources, coal and gas to fire its plants—over the next few years.